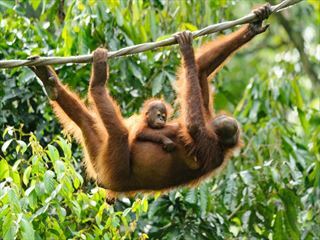 This 9 day fly-drive tour is the perfect way to explore magical Malaysia. You’ll get the opportunity to discover the vibrant capital city of Kuala Lumpur, the picturesque Cameron Highlands and the unspoilt east coast. On arrival in Kuala Lumpur take a taxi and head into the city, where you’ll spend the next 3 nights at the 5* Ritz Carlton hotel. Malaysia’s only 5-star luxury boutique hotel, The Ritz-Carlton, Kuala Lumpur features 248 elegantly appointed rooms, all offering full personal butler service. Superbly located within Kuala Lumpur’s prestigious Golden Triangle district, the hotel is linked to the Starhill Gallery and trendy Bukit Bintang via enclosed sky bridge. This bustling capital city is home to a diverse mixture of cultures, races and cuisines including Indian, Chinese, Malay and European peoples. There are still plenty of colonial buildings in the city centre, along with a buzzing Chinatown district complete with street vendors and night markets. Check out of the Ritz Carlton where your hire car will be waiting for you. Drive north into the Cameron Highlands where you’ll spend the next two nights at the Cameron Highlands Resort. The journey is approximately 200 kms and should be around a 4 hour drive. Set amidst tea plantations and rolling hills, this tranquil boutique hideaway promises all the splendour, romance and nostalgia of Cameron Highlands’ grand colonial heritage. Cameron Highlands Resort is situated on the largest hill resort in Malaysia, surrounded by breathtaking scenery, lush greenery, rolling hills and Tudor-styled cottages. The luxurious resort features 56 beautifully-appointed rooms and suites, and fronts Cameron Highlands’ 18-hole golf course. It also houses the third wellness centre of the award-winning Spa Village group, which offers exotic treatments focusing on the healing and restorative properties of tea. Cameron Highlands is the largest and most famous hill resort in the country and is the smallest district in the state of Pahang which is located in the north-western corner of the state. Much of the character of the highlands remains unchanged since colonial times. It is endearingly known to some as the ’little corner of England in Asia’. The cool climate on the picturesque plateau and its surrounding hills and forest make this a popular retreat for golfing, jungle trekking and exploration of the many plantations and gardens. Take a trip to Brinchang night market which is open every Saturday night features all kinds of vegetables, flowers, fruits and other products of the highlands. 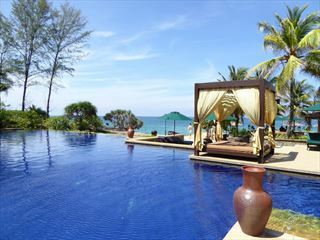 Check out of the hotel and drive south along the east coast to the Tanjong Jara Resort where you’ll spend the next 3 nights. The journey is approximately 360 kms and should be around a 6 hour drive. Regarded as the most luxurious hotel on the east coast, the style of the Tanjong Jara resort is impressive and skillfully blends the easy going atmosphere with a high level of guest comfort. 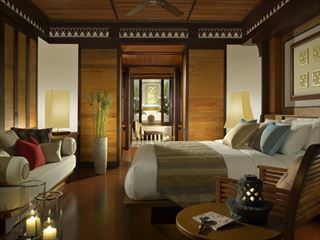 The 98 spacious, Malay style buildings face the sea or landscaped gardens and are furnished with rich timber and fabrics to add luxury to the feel of a village sanctuary. The East Coast is the unspoilt coast that is an endless stretch of beautiful sandy beaches and old fishing villages. In summer leatherback turtles come ashore to lay their eggs. The city of Kuantan lies on the southern end of this coast and is the capital of Pahang province. There is some interesting shopping and sightseeing here not to mention the hawker dining opportunities. Check out of Tanjong Jara and drive back to Kuala Lumpur (The journey is approximately 500 kms and should be around a 6 hour drive) for your flight back to the UK. Please note this is just an example itinerary. We can tailor-make a fly-drive package to meet your exact requirements. Please call us for a quote.